After tests showed toxic mushrooms in rice samples consumed by people in Ba Dien Commune in Ba To District in the central province of Quang Ngai, the Ministry of Health proposed replacing their traditional rice stock with high quality rice. Nguyen Van Binh, head of the Department of Preventive Medicine under the Ministry of Health, said they have requested the Chairman of the People’s Committee in Quang Ngai Province and the Minister of Agriculture and Rural Development, to replace the traditional rice stock of residents with high quality rice, as the former contains toxic mushrooms. In addition, related agencies should instruct people to eliminate mildew from rice baskets as well as improve personal hygiene and clean surrounding areas. 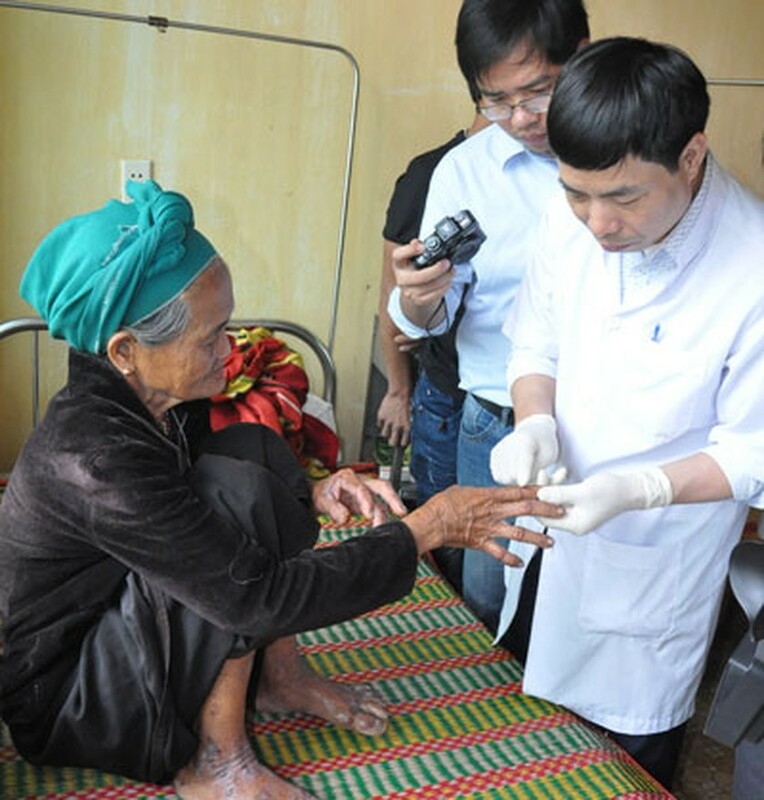 According to a report from the Quy Hoa National Leprosy Dermatology Hospital in the central province of Binh Dinh and Pasteur Institute in Nha Trang, the bizarre disease reoccurred in the province via six persons, including Pham Thi Ngai, 73, from Reu Village in Ba Dien Commune; Pham Thi Vin, 27; Pham Van Toan, 9, and Pha Va Un, 33, from Nuoc Ne Village in Ba Vinh Commune. All of them had eaten the traditional rice. The mystery skin disease that first occurred in the district on April 19, 2011 erupts as thickening of the skin (keratosis) on palms and soles, stiffness in limbs and ulcers on hands and feet that look like burns. Vietnamese surgeons have performed successful liver transplantation conducted in a baby younger than 1 year old and underweight.